One week ago today, I was in the process of working an 11-hour day. The next day, I played basketball in my driveway. The day after that, I went to church that morning and attended a Super Bowl party that evening. Since that time, I have worked a day-and-a-half. I found out I have the beginnings of arthritis and bone spurs in my lower back and been to the chiropractor twice. I’ve also visited my family doctor twice, had two strep tests and one flu test (none of which came back positive), and received a new prescription today, bringing my total for the week to three. I have no plans for this weekend, save for lying around the house, resting, sleeping, and, hopefully, healing up enough that I can return to work Monday. I mean, last week, I was a picture of health. I was running around everywhere, picking up portable tables (which sort of got me into some of the back trouble I mentioned earlier), playing guitar, blogging every day, eating whatever I wanted (to an extent), going wherever I wanted to go. I worked a full day yesterday, came home, and spent an hour in the bathroom sitting in front of a space heater to get warm. I’m going to get over whatever this sickness is, and my back is going to improve. I don’t mean that to sound arrogant; I just know that sicknesses go away, and my back has been messed up like this before and gotten better. What all this has reminded me, though, is how quickly life can change. In this case, the changes have been purely physical. In other instances, though, they can be mental. And heartbreaking. 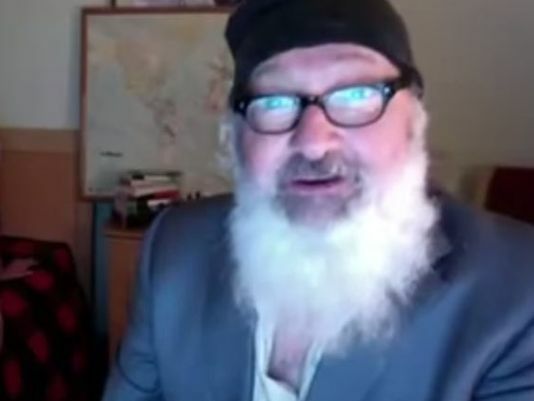 One of the stories that broke while I’ve been laid up this week was the one concerning Randy Quaid. As I watched him bizarrely rant against Rupert Murdoch and Warner Bros., sporting that long white beard but still speaking like the Cousin Eddie I remember, I thought of all the people I’ve known who have done things I never expected them to. I don’t just mean they were mean when I didn’t expect them to be or they had some type of moral failure; I mean they went freaking nuts. They changed. One day they were normal; the next thing I knew, they weren’t. Life and health are precious things. They have to be guarded and protected. Mental health is no different, though. Just as whatever sickness I had developed in my body and my back trouble accumulated over time, falling from healthy thought into mental illness or struggle is not something that just happens in an instant, no matter how sudden it may seem to us. Just as I couldn’t see any of the physical problems I’ve experienced this week coming, however, we rarely see mental difficulties setting upon us. One day, we’re just there, and then we have to figure out how to get back. I’ve never become ill and not believed I would get better, but the day will eventually come when that happens. It’s not today, though. I have lived under the impression I would be depressed forever, and that is faulty thinking I have to battle every day. One day I was healthy; next day I wasn’t. I will be again, though. Whether you have suddenly awakened to the fact you are depressed or anxious or addicted, you can be okay again. One day you were well. I want you to be well again. addiction, anxiety, chiropractor, Cousin Eddie, depression, flu, Randy Quaid, Rupert Murdoch, strep throat, Super Bowl, Warner Bros.